Angora rabbits are wonderful creatures. 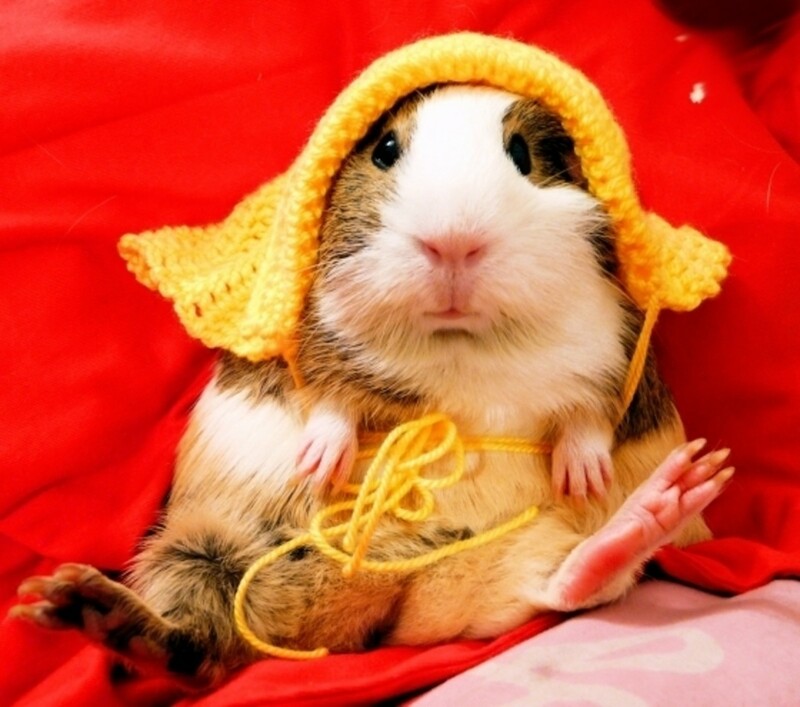 They are beautiful, have a friendly disposition, and produce some of the most warm and luxurious fiber in the world. However, a big step to ensuring that an angora rabbit stays happy and healthy is to provide her with an appropriate place to live. Pictured is my satin angora, Louisa, napping in the lap of luxury. With the right environment, your angora, too, can live a relaxed, carefree life whenever they are in their rabbit "hole." The best cages are NOT the ones widely available on amazon and in pet stores, and I have a list of links to some of those cage maker's websites at the bottom of this page. 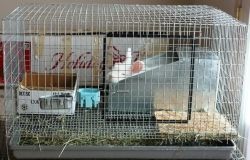 I have, however, added in some pet-store style cages that might be good if you plan on having your angora live more of a house-rabbit lifestyle. Some will tell you wire floors cause sore hocks - they don't! What causes sore hocks are: poor quality floors, dirty/wet floors, obesity, and genes! While every angora rabbit owner keeps his or her rabbits differently, there are several ingredients to a healthy angora environment. Different sized Angoras need different sized cages. These are guidelines for minimum cage sizes if the rabbit is going to spend all or most of it's time inside the cage. If you're going to have a "house rabbit" or "yard rabbit," you can go a bit smaller, but it never hurts to go as big as you can afford or your space will allow. All the numbers are in inches, and are standard sizes you should be able to get from any rabbit cage maker. You can also choose the height of your cages. Most are 16" or 18" high, but if you want to put a shelf in a cage for a big rabbit, you might want to see if you can get a taller cage. English Angora are the most common angora breed. A 24x30 cage would be the smallest size to house one comfortably. These rabbits are much larger than English Angoras! They need a larger cage - 30x30 or 24x36 are good sizes for a french angora. These rabbits have the widest weight range of all the angoras, so it's important to ask the breeder how big your bunny is going to get. For the upper range, you should go with at least a 30x36 wire cage, or 24x48 if you have short arms! A 30x36 or 24x48 cage will suit Giants well. Shade, shade shade! When an angora is kept outdoors, it's very important to consider protection from the elements. Throughout the day, the cage or hutch should never be fully in direct sunlight, and there always needs to be a way to hide from rain. The sun can burn an angoras wool, or overheat it very easily. The rain, and water in general, is very bad for angora wool, and will cause it to matt. This can be accomplished with a porch or storebought shade structure. Make sure to check the setup at different times of day, to ensure the rabbit gets good protection from regular sun and rain. Predators are also an important consideration. An angora owner needs to protect against dogs, hawks, raccoons, and rats. Between a fence and having the cage at least two feet off the ground will alleviate some of these concerns. Use a wire bottomed cage! 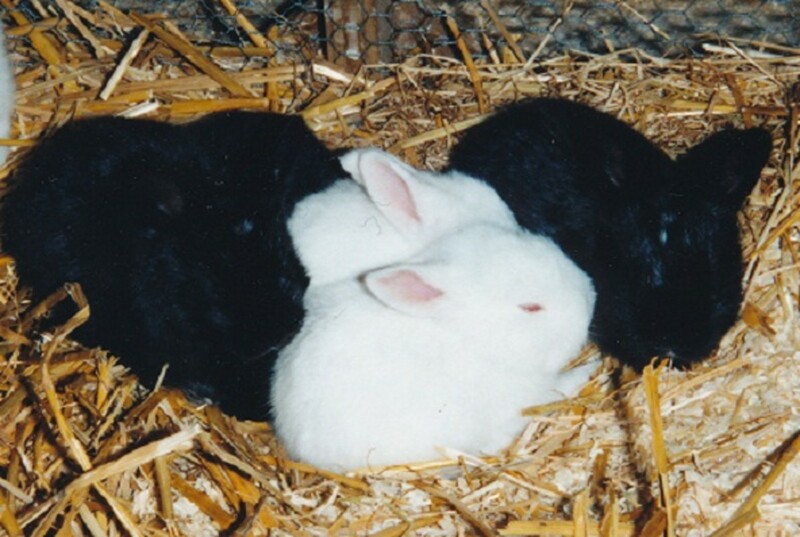 An angora rabbit won't do well in a wooden or other solid bottomed hutch. Their wool will easily soak up any urine on the floor or walls. Urine soaked bedding will also cause serious matting, and may attract flies that will lay eggs on soiled rabbit bottoms. Yuck! Don't worry too much about sore feet Angoras have extra fur on their feet, so they are less prone to sore hocks than other rabbits. It is best for them to be on a strong, 16 gauge or 14 gauge wire floor. They will definitely appreciate a wood or plastic resting board, for when their feet need a break from the wire. Outdoor runs: Any outdoor play yards should have available shade, protection from predators, and careful consideration of coat maintenance. Dirt or mud could make their coats felt in a day of digging! Consider a run over grass with chicken wire on the bottom to prevent digging, or try carpet, concrete, or large wood chips (no pesticides!) These floors could give your bunny some much appreciated exercise, while keeping his coat relatively clean. This run has wire underneath, so there is no possibility of your bunny digging out, digging dirt all over his coat, or letting predators dig their way in. 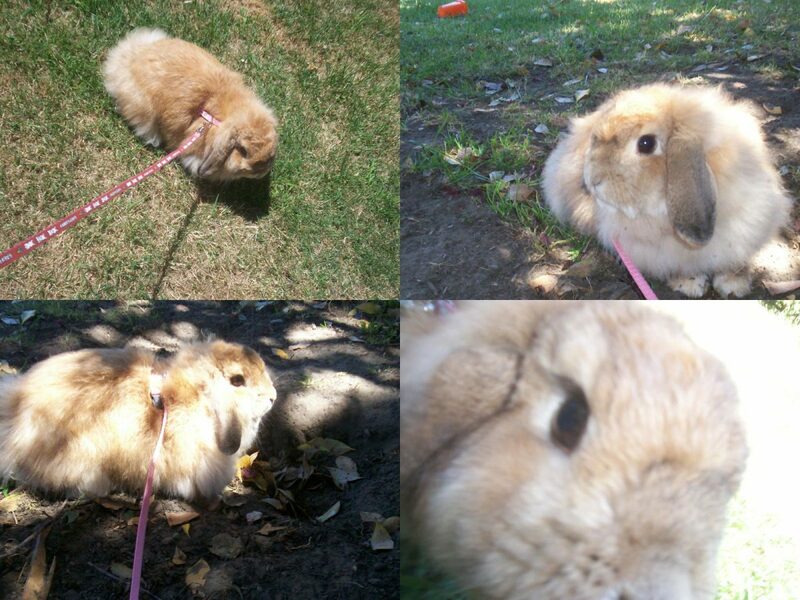 It's a great way for a bunny to get lots of exercise safely, and without any painful de-tangling afterwards. 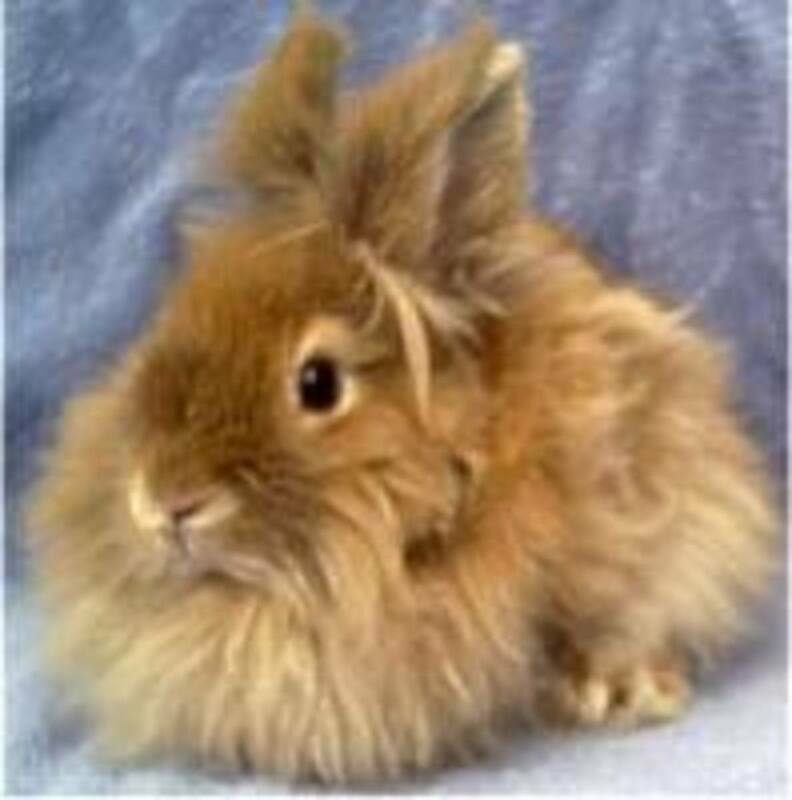 An all wire cage is a great option for an angora rabbit. The ventilation will keep her cool, and the holes in the floor let the droppings through. Hanging the cage up with chains, or putting it on a rack will get it safely off the ground. This is what an ideal cage looks like. HOWEVER, the wire is probably not high quality. Say it with me: 16 or 14 Gauge, Galvanized After Weld (GAW) wire is what you want. Check out the links at the bottom of the page, not your pet store! This shade is so large, you could also fit a grooming table and spinning wheel under it! A hobby room outdoors! Shades with windbreakers are excellent for stormy days. Just a few adjustments are needed to keep the rabbit safe and sound. This is an inexpensive and space efficient option for shading a bunny cage or two. Screenhouses are very nice because it creates an outdoor-indoor feeling. If you live in a hot environment, The ventilation from a screen can really help to keep the rabbit cool. Angora rabbits also do great indoors -- in the garage or in a spare bedroom. You don't need to worry so much about predators or out-of-control weather, but you do need to manage smells much better. Angoras will still need an all-wire bottom, but choose a cage that has a dropping pan underneath, so you can put absorbent material inside and dump it out periodically. Make sure you have a dropping pan for your indoor angora cage! Galvanized Rabbit Dropping Pan Size: 30" x 36"
Angora rabbits, like other breeds, can usually be trained to become a well mannered member of the household. In this case, they could have a relatively small cage, even foregoing the wire bottom for a litter box. This may result in some wool staining and extra grooming, but makes for a manageable rabbit home. It is still a good idea to shut the rabbit into his cage at night or when unsupervised, as they can get into small areas and either cause damage to the house or nibble on something dangerous (or crawl behind furniture and come out as dust bunnies!) 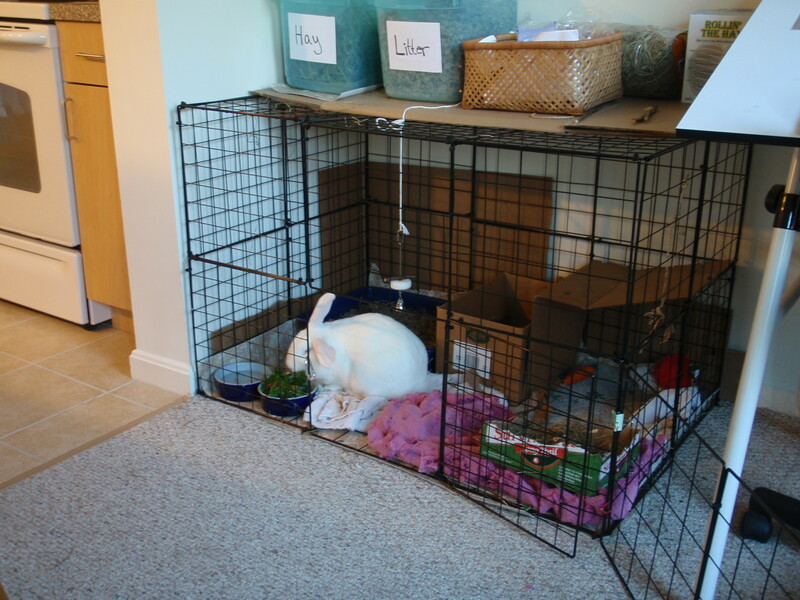 So the cage does need to have adequate space for a rabbit to relax. Notice that this model has a wire floor above the plastic pan. This is definitely a plus if you are shopping for pet-store style cages. Also check that there is wire underneath the plastic pan. You should never expect a plastic pan to support the weight of a rabbit inside, in case you need to move the cage. This cage is simple, and unlike many pet-store style cages, it is actually a pretty decent size. You would need a litter box in here because of the plastic bottom. I think this is a great idea for a house rabbit. You can still get a nice, wire bottomed, legged cage with a dropping pan, but the bunny can come in and out whenever he wants during free-roam time. Make sure the model of stairs you use has a surface with traction, like this one does. Rabbits tend to eat the materials in their litter box, so you should never use cat litter that is made from clay or unnatural materials. In addition, hay or wood shavings can and will make a huge sticky mess on angora bottoms. The best choice might be straw, since it is cheap and has fewer tiny bits to get stuck in a coat. Get these from your local feed store, but you get the idea! The best cages have 16 gauge or 14 gauge after-galvanized wire floors with small holes: 1''x1/2'' or 1/2''x1/2''. A saggy floor or gigantic holes will give ANY rabbit sore hocks!! The Rabbit Cage Hall of Shame - No No No! Don't get these! Three things to AVOID in an angora cage are wood, plastic, and shoddy wire. Wood:For most breeds of rabbits, a wood hutch is okay, I guess. But the problem is, rabbits pee....and pee soaks into wood, causing it to smell and rot, creating yucky stains on your rabbit's wool, and wearing out the walls and floors quickly. Imagine the gymnastics you would would have to do to get into some of these wood hutches to clean them properly! For regular breeds, you can pack the wood interior with hay, so most of the urine won't get on the wood. But with angoras, you are asking for tangles doing that. If you happen to have a very tidy little bunny, they could work, but it's not a bet I would take. Shoddy Wire: Don't try to cut costs by using wire mesh from the home improvement store unless it is 16 or 14 gauge, Galvanized After Weld wire! A floor made of wire mesh or chicken wire WILL cause sore hocks, rust through, and be easily ripped apart by vicious predators. You could use that in an exercise run, but please, never for a primary enclosure! Look at these flimsy legs and the dinky plastic platforms. Ugh. Any tips or tricks you would like to share? Think I'm right? Think I'm insane? Did this help you choose a cage? Tell me about it! Guestbook - What did you think? Thanks for the tips. I have read that wire cages are the best way to go for raising Angora Rabbits. My hope is own to fiber goats and rabbits... someday!